When I came home from school, my “friends” were always waiting for me. They dressed in primary colors—reds, blues, and greens—and stood at attention. As any old friend would do, they accepted me without judging me. Together, we smiled, laughed, and cried. I thought that they would stay with me forever. After I turned eleven, I never saw these friends again. We had to sell them to other children who needed them. I felt sad because we’d have to separate, but I accepted the fact that my best friends were books. There were more of them for me to find. My relationship with books from an early age filled the void of being friendless. For whatever reason, I was too different from the other kids, so I read. I went into the books and played with the characters in a playground where everyone was accepted. I didn’t feel lonely or get angry at my situation. It was because no matter where I went, books were waiting for me. Now as an adult, I support literacy, and I think all readers should be advocates for reading. It’s important for children to understand that they aren’t alone in a world that wants them to look like perfect images. Without that support, children fall into bad habits, destructive behaviors, and limitations. I know that if I hadn’t read books, I would’ve been a problem child who would turn into a problematic adult. Studies show that people who lack basic literacy skills are more likely to face health, financial, employment, imprisonment, and social problems in their futures (ProLiteracy, Conference Board of Canada). Adult readers and adults who have participated in literacy programs are generally better at getting and keeping their jobs, being unemployed less, earning more money, understanding their health problems and treatment better, and are less likely to go to jail (Lume Institute, LiteracyConnects). People can find benefits in improving their literacy skills through anything that gets them reading. I think literacy isn’t limited to conventional trade backs and children’s books. 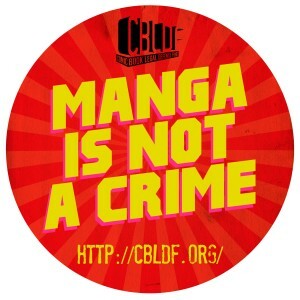 Graphic novels, comics, manhwa, and manga are part of the reading circle. They stimulate imaginations which leads to better creative problem-solving skills that can be used in daily life. I know I exercise my creativity every day, especially since I have to make materials for Japanese kids who don’t know English. Even though I’ve left my original friends behind, they’re still inspiring me in all aspects of my life now. This entry was posted in Life (生活) and tagged advocate, books, graphic novels, literacy, manhwa, programs, readers. Bookmark the permalink.